As much as I personally don’t like to kill things in my garden, I understand that people can sometimes get overrun with insects and have to take steps to save their produce and flowers. The only standard I hold to everyone in the garden is ensuring that everything we grow for ourselves, our friends and family to eat will not harm us or them. If the packaging on a product says it is not safe for human consumption, it should not necessarily be placed on our food, however most pesticide brands on the market do not offer an alternative. I’m going to be sharing some recipes over the coming weeks for insect deterrents you can make at home, that are affordable, organic and safe to ingest. Most of them can even be made from products you have at home! Okay, now that’s out of the way, there are two ways you can use these plants to your advantage. You can plant them around your crops and their scent will act as a natural deterrent to creatures, or you can make up a spray. 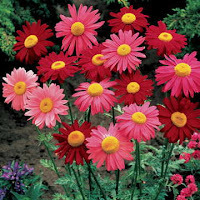 You’ll need a plastic container / old bowl, a spray bottle, some pyrethrum flowers and some water. Take the flower heads off at full bloom, remove the petals and allow the centres to dry out overnight in an open container or bowl. Ideally you will have around 3 grams of the dried flower heads to 1 litre of warm water for this spray to be effective. Let the mixture sit in the bottle for around 2-3 hours and then it’s ready! Just shake before use. 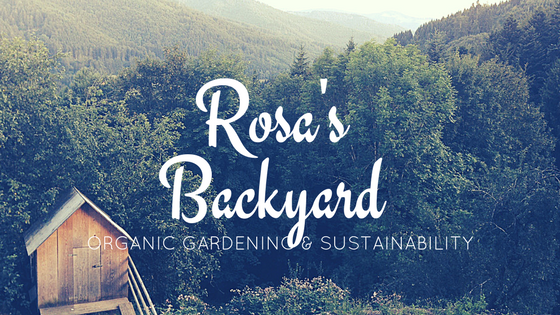 If you’re interested in these recipes, I have written a PDF booklet with all of the recipes in one easy to find place, so if you’d like me to email you a copy of this please email me at: daynah@rosasbackyard.com it’s free for all of my blog readers who email me before January 1st, 2017. After that it will be available for sale on Amazon for $1.50 AUD. The book will also have more details on how each particular pesticide works, an environmentally friendly rating and a toxicity rating. Great natural recipes. I'm fully for going as natural as possible and especially staying away from GMOs as well. :) there's a farmer that I really admire. He made a documentary about his organic farming practices. You might be interested in it too. it's called Back to Eden and it's free to watch online. It's an all time favorite of mine. Really love your blog! I'll definitely have a look at that one! I'm so excited to see so many people making the conscious move to organic / non-toxic when they're able. Thanks so much for your comment! great stuff. do it yourself pesticides so important on improving the environment! Too true! Thank you for your comment! I should this blog to my mother in law as she love gardening - me. I don't know the first thing about it. I'm not an outdoor girl. Thank you for this advice and I will pass it onto my mother in law. I hope she finds it helpful! I am always looking for non-toxic yet effective ways to protect the plants in my yard. Thanks for sharing. I am so happy you found it helpful!